A Ransomes Automaton in the auction. Collection Box, rebuilt satisfactorily, 1 height adjustment knob inncorect. The chain Automaton again, and Dennis z type. Good to hear that a historic machine has gone to somebody who can appreciate and cherish it. 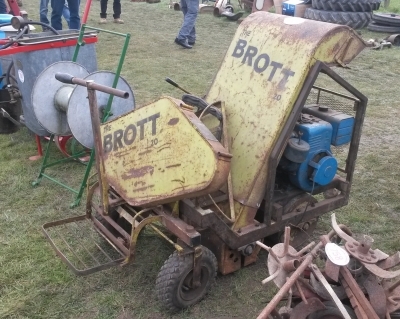 On the subject of cherished Mowers, here are some more pictures taken at the auction. 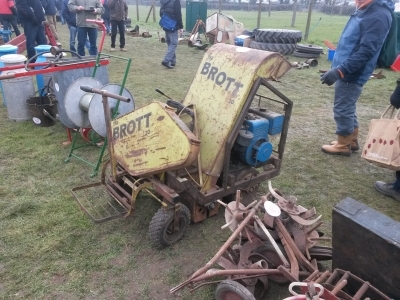 Coincidentally; "Mowing Wurzel Senior" requires a model 146402, 6hp Briggs & Stratton engine. similar to this one. Thanks for posting the pictures. Looks like a great show had never heard of it until these postings (just Googled it) - a date for next year's calendar! Looked up the auction results too - huge number of lots! 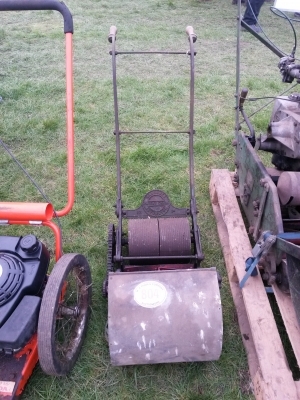 Liking the British Anzani Lawnrider in your photos - I bought one like it at the OLC rally auction in May. Thank you for commenting on my pictures, as well as auctions, I am pro-active to visit Museum's displaying Mowers and gardening equipment. So good to see the OLC compiling a map and key of sites to see them. 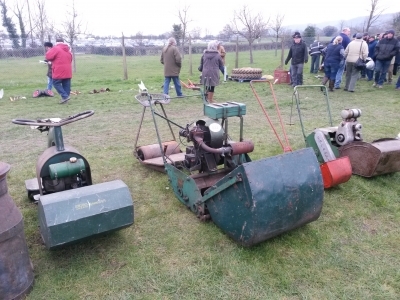 The British Anzani Lawnrider featured, is part of the "Lawnmower Diaspora" of a late and extremely much missed friend and member of the OLC. On the subject of the Lawnrider, this one is 1964. 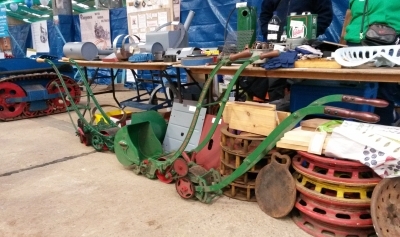 Tractor World Show: Perhaps the OLC could have a stand there?